The GTA Broker Bash – July will be held at Maison Mercer on July 27th, 2017 in Toronto. Rui Fernandes, Kim Stoll, Alan Cofman and James Manson will be in attendance. Canadian Board of Marine Underwriters Annual Golf Day, August 23rd, 2017, Richmond Hill. The recently published decision of the Ontario Court of Appeal in Deslaurier Custom Cabinets Inc. v. 1728106 Ontario Inc. (*1) provides a helpful update on the approach taken by a court in the interpretation of a commercial contract. This decision outlines how a court may apply different rules in the interpretation of a standard form contract as compared to a negotiated contract, and how an appellate court might show restraint when asked to review the decision of a lower court on point. On October 1, 2014, Deslaurier Custom Cabinets Inc. (the “Tenant”) obtained summary judgment in the Ontario Superior Court of Justice against 1728106 Ontario Inc. (the “Landlord”) for recovery of its losses arising from a fire at premises it leased from the Landlord under a commercial lease (the “Lease”). The Landlord appealed to the Ontario Court of Appeal which, on April 4, 2016, set aside the summary judgment and dismissed the Tenant’s action against the Landlord. (1) What standard of review applied to the judge’s decision on the summary judgment application? a) by failing to hold that the Tenant had contractually assumed the risk of any damage to its property and business arising from fire? b) by taking into consideration the Landlord’s leases with other tenants in the building to aid in her interpretation of the Lease? c) by failing to hold that the Tenant’s claim was barred as a result of its failure to add the Landlord as an additional insured on its property damage insurance policy? c) by ruling that the Tenant’s admitted breach of its contractual obligation to add the Landlord as an additional insured to its property damage insurance policy did not bar its claim against the Landlord for losses to the Tenant’s property arising from the fire. On June 3, 2016, the Tenant sought leave to appeal to the Supreme Court of Canada. On September 15, 2016, while the Tenant’s leave application was pending, the Supreme Court released its decision in Ledcor Construction Ltd. v. Northbridge Indemnity Insurance Co. (“Ledcor”) (*2). This case provides critical guidance for the interpretation of commercial contracts and the applicable standards of appellate review of a lower court’s intepretation of a contract. The Supreme Court “remanded” this case back to the Ontario Court of Appeal for reconsideration of the matter in light of the principles set forth in the Ledcor decision. The Ontario Court of Appeal accordingly requested and received written submissions from the parties on the appropriate disposition in light of the Ledcor case. In its Appeal Decision, the Court of Appeal recognized two exceptions to this general “deferential” standard of review rule regarding contractual interpretation. The first, as confirmed in the Sattva case, is that the correctness standard of review will apply to questions of contractual interpretation where it is “possible to identify an extricable question of law from within what was initially characterized as a question of mixed fact and law”. Examples of “extricable questions of law” include discernable legal errors involving the application of an incorrect principle, the failure to consider a required element of a legal test, or the failure to consider a relevant factor. The second arises from the Ontario Court of Appeal decision in MacDonald v. Chicago Title Insurance Company of Canada (*4). This case recognized an exception to the Sattvageneral standard of review rule for the interpretation of standard form contracts, wherethe correctness standard should apply. The Ledcor decision confirmed that the correctness standard will generally apply to the interpretation of standard form contracts as the factual matrix or surrounding circumstances are usually not engaged in the interpretation exercise: the relationship of the parties, and their dealings, generally meaning little when the parties have not negotiated the contract. [T]he motions judge erred in law by failing to apply binding appellate authority regarding contractual allocation of risk. She also erred in law by failing to assign meaning to all the contested terms of the Lease and by adopting a construction of the Lease that fails to accord with the governing principles of contractual interpretation. As these errors involve extricable questions of law within the meaning of Sattva, the correctness standard of review applies. (3) there is no meaningful factual matrix that is specific to the parties to assist the interpretation process. Where these three criteria are not met, Ledcor confirms that the interpretation of even standard form contracts may involve issues of mixed fact and law reviewable on the deferential standard of palpable and overriding error. Depending on the circumstances, however, the interpretation of a standard form contract may be a question of mixed fact and law, subject to deferential review on appeal. For instance, deference will be warranted if the factual matrix of a standard form contract that is specific to the particular parties assists in the interpretation. Deference will also be warranted if the parties negotiated and modified what was initially a standard form contract, because the interpretation will likely be of little or no precedential value. (4) as Sattva further holds, the factual matrix or surrounding circumstances of a contract remain an important consideration in the contractual interpretation exercise. The factual matrix, however, is temporally limited to objective evidence of the background facts at the time of contract formation, namely, knowledge that was or reasonably ought to have been known to both parties at or before the time of contracting. The motions judge’s interpretation of the Lease, a question of mixed fact and law, involved extricable questions of law. The correctness standard of appellate review therefore applied to those questions. For these reasons, having reconsidered its decision in light of the Ledcor decision the Court of Appeal determined that it “got it right” the first time around. It affirmed its initial ruling, spelling success for the Landlord, the outcome having been consistent with the Surpreme Court’s ruling in the Ledcor case. (i) It sought approval from Transport Canada under the Navigable Waters Protection Act, R.S.C. 1985, c. N-22. This was required as a consequence of Transport Canada’s role in regulating marine transportation and safety standards. (ii) It sought to obtain tenure to the foreshore from the provincial Ministry of Forests, Lands and Natural Resource Operations. “Tenure” is effectively permission to use the foreshore in a particular manner. The need to obtain such permission is a consequence of the Crown’s ownership of the foreshore on which the dock would be constructed. (iii) It sought a building permit to be issued by the Municipality consistent with its role in regulating land use within its territorial jurisdiction. The Bowen Island Municipality maintains a bylaw amendment, which its municipal council adopted after Zongshen applied for a building permit, prohibiting the construction of the dock. It refused to issue a building permit. Zongshen initially applied for Transport Canada’s approval in March 2013. Approval was received (in final form) in February 2015. In February 2013, Zongshen submitted an application to the Ministry for Crown Land Tenure specifying the proposed use as “Private Moorage”. Two months later, it notified the Municipality that it had done so, as was necessary to afford the Municipality the opportunity to comment on the tenure being sought. Attached to its application were the particulars of the dock, a marine bed survey, and an environmental report. The dock was then to consist of a very long aluminum structure extending to a float. The length was necessary because the depth of the water where the proposed dock was to be built would otherwise have been too shallow at low tide to use the float. However, when the municipal bylaws were amended in November 2013, the permissible length of a dock structure became less than what Zongshen had planned. Zongshen then had to engage consultants to redesign the dock and draft revised plans, which it submitted to the Ministry in August 2014. The Municipality then insisted that Zongshen provide the Ministry with a new biophysical survey and marine assessment, which in due course it did. In mid-July 2015, Zongshen obtained signed tenure documentation in the form of a “Specific Permission for Private Moorage” from the Ministry, which it then submitted to the Municipality in early August. In mid-September, the Municipality informed Zongshen that the application had been rejected because the Land Use Bylaw prohibited the proposed dock. Among the facilities prohibited is a Private Moorage Facility. The petitioner’s dock clearly comes within the bylaw’s definition–it is a structure affixed to the seabed and connected to the shoreline to be used for the exclusive benefit of a single adjoining property. The intention expressed in the bylaw’s definition makes clear that the focus of the prohibition is on the nature of the structure and who may use it, not on the amount of time a boat may actually be present. I do not find the bylaw to be in any way unclear or ambiguous, but if any such ambiguity existed it would be easily resolved by other evidence of the council’s intention. The resolution that preceded the bylaw amendment could not have been clearer. It instructed staff to prepare an amendment “that prohibits all private docks at the lands known as Cape Roger Curtis.” Giving effect to the “intention of the Municipal Council as expressed in the bylaw,” I find that the bylaw amendment was intended to and does prohibit precisely the kind of permanent, private dock that the petitioner seeks to build. As defined in the Land Use Bylaw, a “private moorage facility” means “a float on the surface of the water that is affixed to the sea bed.…” The judge said that the proposed dock came within the definition because it would be “a structure affixed to the seabed …” (para. 70). While the judge quoted the definition of a “private moorage facility”, he appears to have discounted the requirement that to be such a facility the dock would have to be “a float on the surface of the water”. As stated, the proposed dock would not in any way be a float on the surface of the water. It would all be supported by pilings resting on concrete footings: no part of it would float on the water. To be a “private moorage facility”, it is not sufficient that the proposed dock be a structure affixed to the sea bed; it would as well have to be a float – “a float on the surface of the water”. The Court held that the Municipality’s contention that the judicial review judge’s finding that the proposed dock fell within the definition of a “private moorage facility” was entitled to deference was not supportable. The dock that is the subject of Zongshen’s applications for a building permit is not prohibited by the Land Use Bylaw as amended by Bylaw No. 381, 2015. The municipal council may well have wanted to “Stop the Docks” in the vicinity of Cape Roger Curtis for understandable reasons, but here the law requires that its intention in adopting the bylaw must be drawn from the expressed wording employed. This is particularly so given that it would have been a simple matter to provide a broader definition for what constitutes a “private moorage facility” if it was to be said it would include the dock Zongshen seeks to build adjacent to its upland property. In a unanimous decision the Court ordered that the Municipality issue to Zongshen the building permit. In the recent Ontario Court of Appeal decision of Brompton Corp. v. Tuckamore Holding LP, 2017 ONCA 594 the principles of contract interpretation developed by the Supreme Court of Canada were applied to the interpretation a representation and warranty clause in an agreement of purchase and sale of a business. The Purchaser Disclosure Letter cited in s. 5.1(l) set out, in Exhibit “A” thereto, the tax losses, deductions and credits referred to as “tax pools” in s. 5.1(l) of the Agreement. Exhibit “A” listed the relevant non-capital losses and scientific research and experimental development expenditures and tax credits, together with their years of expiry and associated values for federal and provincial income tax purposes. In 2010, Tuckamore determined to divest its minority interest in Brompton. Accordingly, it approached Brompton and this led to a further agreement among the parties, dated July 5, 2011, regarding the sale of Tuckamore’s minority interest. As a term of that agreement, Tuckamore agreed to indemnify Brompton for its proportionate share of any tax liabilities, including interest or penalties, assessed against Brompton under the Income Tax Act of Canada in respect of the period when Tuckamore was a Brompton shareholder (the “Tuckamore Indemnity”). Although several other agreements concern the commercial dealings between the parties, the focus of the dispute was s. 5.1(l) of the Agreement and the Tuckamore Indemnity. The issue was whether s. 5.1(l), properly construed in the context of the Agreement as a whole, constituted a representation and warranty as to the future tax utilization of Brompton’s tax pools or, in contrast, whether it was directed solely to the accurate identification of the tax pools in existence, and their values, up to the date of closing of the purchase transaction. The interpretation of s. 5.1(l) was important because, after the closing of the transaction provided for under the Agreement and after the date of the Tuckamore Indemnity, the Canada Revenue Agency (“CRA”) disallowed Brompton’s attempted use of the tax pools to reduce its taxable revenues during the 2009-2013 taxation years. A summary judgment application was heard and granted before Justice Hainey who found against Tuckamore. Applying these principles to the interpretation of s. 5.1(l) of the Acquisition Agreement, I have concluded that Brompton did not give Tuckamore a representation and warranty that the tax pools would not be subject to a future tax assessment by the CRA. The Purchaser Disclosure Letter does nothing more than list the amounts of the tax losses on a yearly basis specifying when each tax pool will expire. The Purchaser Disclosure Letter says nothing about the future use of the tax pools and there is no mention of whether they could be assessed by the CRA. Brompton and Tuckamore are both sophisticated investors who carried out their own due diligence in respect of the tax pools. Commercial reality dictates that they both had to know that there was a risk that their intended tax applications of the tax pools could be assessed and disallowed by the CRA in the future. Neither could definitively predict what the CRA would decide if there was an assessment. We note, first, that the Agreement is far from a standard form contract. It is the critical centrepiece of a series of associated contracts that implemented complex commercial transactions. It was negotiated by sophisticated parties with the assistance of professional legal and tax advisors. In these circumstances, the motion judge was obliged to consider the commercial context in which the Agreement was concluded, the surrounding circumstances that were known or ought to have been known to the parties at the time of contract formation, and the language employed by them. As Sattva instructs, at para. 47, in matters of contractual interpretation, “a decision-maker must read the contract as a whole, giving the words used their ordinary and grammatical meaning, consistent with the surrounding circumstances known to the parties at the time of formation of the contract.” The overriding interpretive task, Sattva instructs, is to determine “the intent of the parties and the scope of their understanding”. In our view, that is precisely the interpretive exercise that the motion judge undertook. His reasons confirm that he was alert to the controlling interpretive principles, to the commercial context and factual matrix in which the Agreement was concluded, and the language employed in the Agreement by these informed and knowledgeable parties. The Court of Appeal emphasized that the commercial context of the agreement formed part of the circumstances surrounding the formation of the agreement that Justice Hainey was obliged to consider. The Court also noted that Justice Hainey’s assessment of those circumstances attracted deference from the Court. “Personal liability”. No two words can strike more fear into the heart of a corporate director. The threat of personal liability has a chilling effect that may deter excellent corporate leaders from serving on boards of directors, and may cause existing directors to shy away from making some of the difficult decisions that are necessary when a company is in crisis. The dust may have settled on the recent global financial crisis, but corporate directors must now learn to live with heightened scrutiny, an ongoing push for higher ethical standards, evolving norms of what constitutes good corporate governance, and legislative amendments that seek to enhance and strengthen shareholder rights. At the same time, the class of stakeholders to whom directors owe fiduciary duties has continued to expand. Corporate directors in Canada must also steer clear of personal liability for conduct that is oppressive or unfairly prejudicial to the interests of a broad range of corporate stakeholders. Legislators and policymakers tend to view director liability as one of the primary instruments available to them in their efforts to promote good governance. It is perceived as a “relatively simple way to influence corporate behaviour.”(*2) All Canadian corporate statutes impose fiduciary duties and a minimum standard of care on corporate directors. (*3) Director liability also features in a variety of other federal and provincial statutes dealing with a broad range of matters, including environmental law; tax withholdings and remittances; human rights; pension matters; and employment law generally. Upon a finding of oppressive or unfairly prejudicial conduct, our corporate statutes grant courts the discretionary power to make any interim or final order they see fit, and our courts have demonstrated that they are prepared to be flexible and creative when called upon to fashion a remedy under these statutory provisions. (*8) Unfortunately, our corporate statutes provide no further guidance on when it may be appropriate to hold directors personally liable for such conduct. Thankfully, for those of us who do serve on corporate boards, it is relatively uncommon for directors to be held personally liable under the oppression remedy. Yet the uncertainty surrounding the possibility of its application has generated considerable commentary over the years. In the 1998 decision in Budd v. Gentra Inc. (*9), the Ontario Court of Appeal expanded the scope of director liability by disclaiming any common law requirement for the complainant who is seeking an oppression remedy to prove that the director had breached the duty of care. This would suggest that directors might be personally liable for oppressive or unfairly prejudicial conduct even if they have not acted in bad faith. Following the Court of Appeal decision, most of the cases where directors have been found to be personally liable involved closely-held corporations, where directors have benefited personally from the oppressive conduct, and where a stakeholder’s reasonable expectations have been oppressed, unfairly prejudiced, or unfairly disregarded. Still, the case law since Budd v. Gentra has left corporate directors with a disquieting sense that the boundaries of personal liability for oppression are not fixed. The Wilson v. Alharayeri decision should give corporate directors some peace of mind that they will not be held personally liable for taking bold steps that are in the best interests of the corporation, provided they play within the boundaries enunciated by the Supreme Court. 1. The oppression remedy requested must, in itself, be a fair way of dealing with the situation. 2. The order should go no further than necessary to rectify the oppression. 3. The order may serve only to vindicate the reasonable expectations of security holders, creditors, directors or officers in their capacity as corporate stakeholders. While the Supreme Court confirmed that bad faith and personal benefit “remain hallmarks of conduct properly attracting personal liability”, these factors “should not overwhelm the analysis.” The court also noted that merely taking a lead role in a board meeting can never be, in and of itself, sufficient basis for a director’s personal liability for oppression; however, it is appropriate for a court to assess the extent of an individual director’s support of a decision that leads to an oppressive act or omission. Wilson v. Alharayeri brings much-needed clarity to the scope of personal director liability under the oppression remedy. In light of this decision: (i) directors must go to great lengths to ensure that they avoid, and scrupulously declare, every actual or potential conflict of interest; and (ii) directors should not shy away from voicing their dissent and ensuring that it is noted in the minutes of a board meeting, when faced with a decision that may lead to an oppressive act or omission. (*5)  3 S.C.R. 560, 2008 SCC 69, para. 1. (*6) Stanley M. Beck, “Minority Shareholders’ Rights in the 1980s”, Special Lectures of the Law Society of Upper Canada, 1982 Corporate Law in the 80’s (Don Mills: Richard de Boo, 1982) 311 at 312. (*7) Prince Edward Island is the only Canadian jurisdiction that does not have a statutory provision governing the availability of the oppression remedy. For the rest of Canada, see: [British Columbia] Business Corporations Act, SBC 2002, c 57, s. 227; [Alberta] Business Corporations Act, RSA 2000, c B-9, s. 242; [Saskatchewan] The Business Corporations Act, RSS 1978, c B-10, s. 234; [Manitoba] The Business Corporations Act, RSS 1978, c B-10, s. 234; [Ontario] Business Corporations Act, RSO 1990, c B.16, s. 248; [Québec] Business Corporations Act, CQLR c S-31.1, s. 450; [New Brunswick] Business Corporations Act, SNB 1981, c B-9.1, s. 166; [Nova Scotia] Companies Act, RSNS 1989, c 81, Third Schedule; [Newfoundland & Labrador] Corporations Act, RSNL 1990, c C-36, s. 371; [Yukon] Business Corporations Act, RSY 2002, c 20, s. 243; [Northwest Territories] Business Corporations Act, SNWT 1996, c 19, s. 243; and [Nunavut] Business Corporations Act, SNWT (Nu) 1996, c 19, s. 243. (*8) Deluce Holdings Inc. v. Air Canada (1992), 12 O.R. (3d) 131 (Ont. Ct. (Gen Div.)) R.A. Blair J. (*9) 43 B.L.R. (2d) 27 (Ont. C.A. ), Doherty, J.A. (*10) Sidaplex-Plastic Suppliers Inc. v. Elta Group Inc. (1995), 131 D.L.R. (4th) 399 (Ont. Gen. Div. ), varied 1998 CanLII 5847 (ON C.A. ), (1998), 40 O.R. (3d) 563 (C.A.). (*11) Downtown Eatery (1993) Ltd. v. Ontario (2001), 54 OR (3d) 161; 200 DLR (4th) 289; 14 BLR (3d) 41 (Ont. C.A.). (*12) Cox v. Aspen Veterinary Services Professional Corporation,  12 WWR 483; 37 BLR (4th) 257; 301 Sask R 1. Vessel arrest in Canada is available in a relatively wide range of circumstances where there is in rem jurisdiction (i.e. specific jurisdiction over the ship itself, as opposed to in personam jurisdiction, which covers legal persons such as the ship owner or a corporation). For example, arrest is available in relation to a claim for liquidated damages arising from services provided to a ship. In Platypus Marine v. The Tatu (*1), a ship repairer from Port Angeles, Washington claimed for unpaid moorage, storage and repair services, and other related services, against the owners of a luxury yacht, called The Tatu,for about $285,000 USD plus $100,000 in interest. In connection with the claim, the Plaintiff had the vessel arrested. At a hearing in December 2015, damages were ordered paid for the equivalent of about $285,000 USD (about $365,000 CDN at the time), plus $1,500 in court costs, which the Defendants paid, while the matter of interest was adjourned to be dealt with at a later date. Following pleadings and argument, the Honourable Mr. Justice Hughes denied the claim for interest on the basis that the rate charged was criminal.(*2). The Plaintiff appealed to the Federal Court of Appeal. Thus, the matter was sent to be decided by Prothonotary (now Justice) Lafreniere of the Federal Court in Vancouver. The Prothonotary agreed with the Defendants, commenting that it was “trite law” that there was no automatic stay pending an appeal. Since the judgment was satisfied, the vessel was presumptively entitled to be released. Platypus argued that it would suffer irreparable harm (as the vessel was foreign flagged and likely to leave the jurisdiction), that there was a serious question to be determined on appeal, and that the balance of convenience favoured the granting of a discretionary stay. The Prothonotary disregarded all of those arguments, simply noting that there was no affidavit evidence filed to support any of those positions. 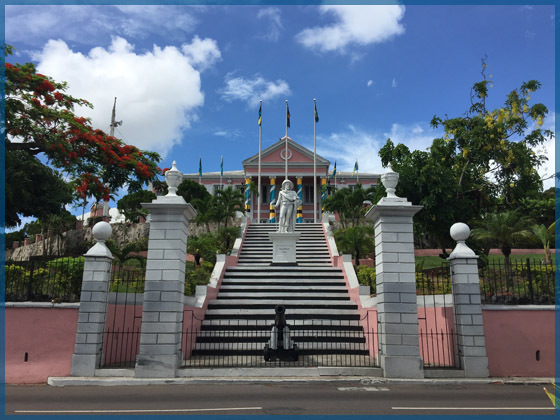 He cited the Honourable Mr. Justice Nadon’s comments from the Court of Appeal, suggesting that the issue of a stay could have been addressed to Mr. Justice Hughes during the underlying hearing, as the trial level judge would have been better placed to address the facts. This decision is important insofar as it suggests that cogent affidavit evidence is required in order to substantiate an application to stay the release of a vessel, pending appeal. Although there was no discussion in the Prothonotary’s reasons about the extraordinary nature of an arrest, it seems to have pervaded his thinking. Without a very good reason to do so, the Prothonotary was simply not prepared to assist the Plaintiff in maintaining its security. Even the fact that the ship was foreign-flagged and therefore likely to leave the jurisdiction was not enough. It is unclear what evidence would have sufficed; however, the threshold appears to be considerable. (*2) We have previously written about the underlying decision, September 2016. (*3) 2016 FCA 224 (unreported). S. 147(1) of the Air Transportation Regulations mandates that air carriers provide assistance to persons with special needs in order to allow persons with disabilities access to air services. Although, strictly speaking, at law these Regulations apply only to domestic flights, the Canadian Transportation Agency (“CTA”), which oversees their implementation, has held that as a matter of fact, the Regulations also govern Canadian operations of international flights. Ms. Donna Jodhan (“the Complainant”), returned to Toronto Pearson Airport aboard a Caribbean Airlines flight from Trinidad during winter 2014. The Complainant had limited mobility and had requested services to assist her with walking through the customs area and on to the baggage carousel. Although assistance was promptly available, this was offered by an employee with a wheelchair. The Complainant declined to use the wheelchair and waited 45 minutes for somebody to provide the solicited assistance in ambulating. Ms. Jodhan brought a complaint before the CTA against the Greater Toronto Airports Authority (“GTAA”) only. The GTAA was impugned since, as at many airports, the GTAA operated a central system for the provision of consistent and efficient assistance services to passengers, irrespective of their airline. The GTAA subcontracted with Servisair to provide such services and the GTAA required all airlines operating from Toronto Pearson Airport to contract with Servisair to engage its assistance services. The GTAA argued that the airline and third party service party were necessary parties to the resolution of Ms. Jodhan’s complaint. The GTAA made a request to the CTA that the complaint be dismissed as against it or in the alternative to join the airline and the subcontractor as respondents. These requests were denied by the CTA. The CTA denied that the airline was a necessary party to the complaint based on the service model employed by the GTAA, whereby the airline was required by GTAA to subscribe to the unified assistance programme offered by Servisair, the GTAA dictated the parameters of the services in respect of which the airline had no control, and both the GTAA and the airline were under the jurisdiction of the CTA. Regarding Servisair, the CTA held that, since the GTAA could not divest itself of its responsibilities at law to provide assistance by engaging a subcontractor, any faults of Servisair were with the remit of the GTAA and hence Servisair need not be joined as a respondent to resolve the complaint. The GTAA brought an appeal before the Federal Court of Appeal. Pelletier J,A. for the unanimous Court gave the reasons for dismissing the GTAA’s appeal (*1). Pelletier J.A. started out by underscoring that relief could only be granted to the GTAA if the decision of the CTA had been unreasonable as the applicable standard of review. The CTA decision withstood such review. The decision made the GTAA’s task of establishing the cause of the service failure to Ms. Jodhan more difficult as it may ultimately prove to be the case that the error was not demonstrative of a systemic type failure imputable to the GTAA, but rather may have been a case of an individual human error. The presence of all of the parties would have facilitated such an investigation. However, the Federal Court of Appeal opined that the GTAA would be able to put its evidence in “one way or another” and hence the decision was not unreasonable on these grounds. Furthermore, any conclusions of the CTA in respect of the obligations of the airport pursuant to the Regulations governing training in the assistance of disabled person were interim and for the purpose of resolving the interlocutory issue of joinder of respondents only. It would be premature for the court to review those prior to the final determination of the CTA. Accordingly, Ms. Jodhan’s complaint will accordingly proceed before the CTA as against the GTAA only.